Twice this year the U.S. Steel plant in Portage, Indiana, has released more than the allowable quantity of a cancer-causing chemical into the waters of Lake Michigan. In April, the steel producer reported a spill of 346 pounds of chromium, including nearly 300 pounds of hexavalent chromium, the highly toxic chemical made famous by the 2000 movie “Erin Brockovich.” Per federal regulations, the public was made aware of the spill. On Oct. 25, the company accidentally dumped nearly 60 pounds of chromium into Burns Waterway, a ditch that drains into Lake Michigan, and requested that Indiana officials keep the spill confidential, according to documents recently collected by University of Chicago law students, who shared their findings with the school’s Abrams Environmental Law Clinic. The law clinic and the Surfrider Foundation, an environmental organization focused on water quality, then sent on Nov. 13 a notice of intent to sue U.S. Steel over what they claim are repeated violations of the Environmental Protection Agency’s Clean Water Act. The two groups teamed up more than a year ago to investigate U.S. Steel after surfers in Portage developed skin rashes and noticed the smell of oil. McNeil said hard winds from the north create the biggest – and best – waves on the south end of Lake Michigan. “But that water down there is different than other parts of the lake – it’s dirtier – and with all that industry around, it isn’t surprising,” McNeil said. Under the Clean Water Act, the company has 60 days from the notice of intent to sue to resolve the issues with federal and state regulators, according to Mark Templeton, director of the Abrams Environmental Clinic. “We are essentially waiting for that period to expire and getting ready to file the lawsuit itself sometime in mid-January,” Templeton said. He says that it wouldn’t surprise him if regulators reached some agreement with U.S. Steel within the 60-day period. “They should be pushing for a fine as well as for a supplemental environmental project, which would be a project that the company would undertake to improve environmental conditions in the area more generally,” Templeton said. Templeton and McNeil join us to discuss Lake Michigan pollution and the proposed legal action against U.S. Steel. 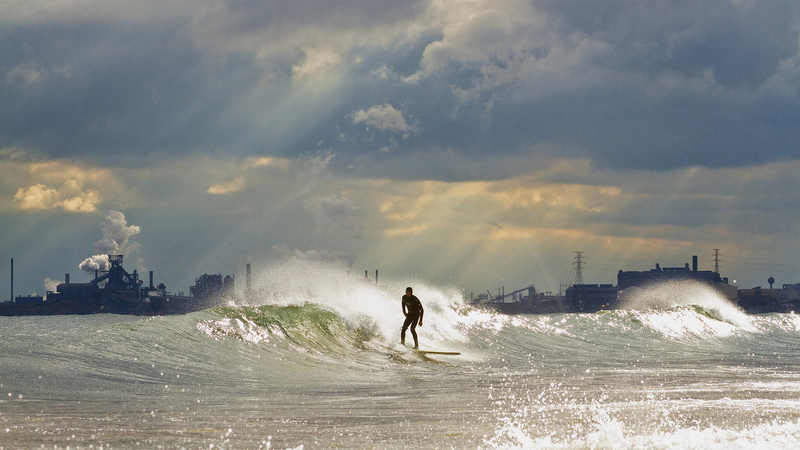 April 17: A spill last week at a U.S. Steel site in Northwest Indiana released an unknown amount of a potentially carcinogenic chemical into a Lake Michigan tributary, prompting the closure of three beaches at Indiana Dunes National Lakeshore. Dec. 15, 2015: The risk of a Great Lakes oil spill has grown as the region becomes a hub for refining and transporting heavy tar sands oil. Oil that the Coast Guard says it does not have a method to clean up.